We are putting in a garden and it must be started this weekend. We’re not crazy! You really can garden this late and have veggies right up until a heavy frost, which for us would be sometime in late October and maybe even November. The picture is a bit misleading because that is my stack of seeds for next year’s spring garden. I had another stack of seeds for our fall/winter garden but somehow I didn’t take a picture of it. You can’t plant the same things you plant in spring like tomatoes, peppers, melons, etc. You have to plant cool weather crops like kale, lettuces, beets, and turnips, to name a few. You just have to do a little bit of math and make sure you give your plants plenty of time to mature before the first fall frost. If you have followed my blog you know that I have a horrible brown thumb. We have had success with the Square Foot Gardening method before so that is what we will be doing. Today will involve leveling out our garden spot, laying down weed barrier, building raised garden beds, mixing up some growing mix and maybe getting some seeds in the dirt. What are your weekend plans? Have you ever planted a fall/winter garden? We're moving house this weekend. Someone else will benefit from much of the fruit of our garden. 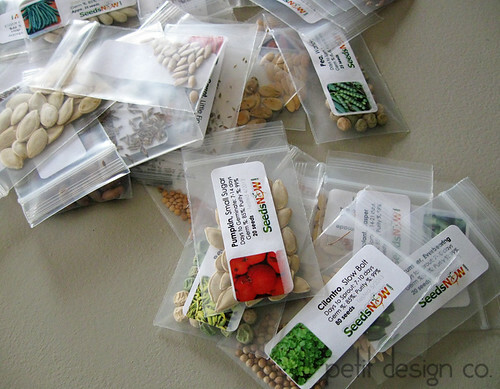 Thanks for the seed source--we like to use heirloom seeds so I will have to check them out. Good luck with your garden. Sounds likea big project. Maybe you can post pictures when. You're one.